A model of the VAUXHALL FIRENZA SL has been produced. To our knowledge, the Firenza has only been modelled once before.....as a Corgi Junior? We are hoping to stock this model very shortly. More models have come into stock. Cklick on image for more pictures. 1919 White Keg Truck "Labatt's"
e-mail or telephone (01773 872780) us to order. Price is £55 inc P&P. STOP PRESS. Crossway Morris Oxford MOs not quite available at ModeleX 2002 but due very soon. In the meantime, here are pictures of the two styles being modelled. Price £89. What`s New From Brooklin & Lansdowne in 2003? Photograph courtesy of Crossway Models. 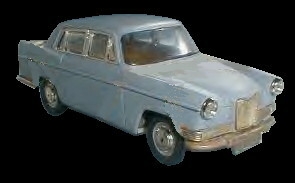 CROSSWAY MODELS Morris Oxford Series MO to be available soon.